Mick Clearly of the Daily Telegraph makes some worthy points on our worth. The Baa-Baas are in town and Saturday’s match against the All Blacks will have many appealing things: running, handling, fun, post-match ale, songs and no coaches. Well, that last bit’s not quite true. Nick Mallet will be fronting the Baa-Baas gig while the usual suspects are in the ABs’ corner. But the reason the Baa-Baas still have an appeal for players is that they are different. Sure, there’s a good few quid in it for them, but it’s a rare chance to mix and mingle, enjoy each other’s company, not be too serious and not be too dogmatic. The coach has a minimal input. And does the rugby suffer ? Does it heck as like. There are many fine coaches, men ( and women ) who strike the right balance. They teach and they guide, and players learn. But here’s a thought. Let’s give all Premiership coaches a month off. Full pay. Let the players sort it out themselves. And then let’s see what happens. I think we’d be pleasantly surprised. Don’t you ? Both the rights of a tackled player and scrums will be subject to changed conditions in 2010, after meetings with SANZAR officials ensured that the focus on the ruck and the forward engagements will be policed to allow a cleaner game. The new changes will ensure that the attacking side has the advantage at the tackle area. Essentially the tackler will no longer have carte blanche to steal the ball, and the ball carrier more rights to enable his support to recycle. It has been agreed that often the tackler wins the penalty in a ruck situation, which is going against the premise of promoting attacking rugby. At scrum time, poor techniques, questionable tactics and repeated resets have led to a huge increase in time spent on what has become in the eyes of many a vexed set piece. The International Rugby Board has assessed that 12% of an 80 minute match is spent resetting scrums. This is close to 10 minutes. Offenders, namely in the front rows, will now be under the direct jurisdiction of the respective countries scrum coaches. Mike Cron (NZ), Pat Noriega (AUS) and Balie Swart (SA) will now oversee their respective countries franchises/teams. SANZAR referee’s manager Lyndon Bray spoke to the Dominion Post about making rugby a more open game, and ensuring that more time is spent with ball in play. “We’ve agreed philosophically to change what the tackler can and can’t do,” Bray said. This has seen the game develop into a situation where teams are afraid to move the ball wide, for if the ball carrier is isolated, it inevitably leads to a turnover. This will give tackled players more time to place the ball, and will ensure that players not making a clean release after the tackle and getting to their feet will be penalised. However the infringement for holding on will still stand, albeit a potential scavenger needs to follow a specific process. The days of specialists such as Richie McCaw holding onto a tackler or ball and essentially using that as a counterweight to swing to their feet and attack possession may be over. Last year referees and coaches met, and planted the idea that the game would benefit with different approaches to key areas. Key amongst this was ensuring a defending team did not have more rights. Secondary was ensuring that the scrum was a set piece platform, and not a time consuming minefield that could ultimately deter fans from watching the product. “We came up collectively with the fact that we had to create a greater ownership for changes in behaviour and essentially that was around the technique used at the tackle and at scrum time,” Bray said. Changes in the scrum will take a more direct tact. Offending players will be scrutinised and approached. If they cannot remedy their approach, then they will essentially be publically exposed. “If the Hurricanes scrum for example have poor technique or use a poor tactical technique in week one to disrupt the scrum we will be going in privately and saying you have a problem and we will use Mike Cron to deliver the message, which gives it teeth,” Bray said. This will also apply to referees. The tackler’s rights will no longer be deemed as being unlimited. A tackler must released the tackled player and ball and get to their feet before scavenging. I received this email and thought it was great to see the game reaching out across the globe. My name is Gean and I am a South African, I have been playing rugby my whole life but since I moved to China 3 years ago, it ended. About 2 years ago, I found a rugby club here in Hangzhou China; we always recruit players, as they do not stick around for long periods. I started to coach the forwards, as I am one of the skillful players and found your coaching tips very helpful, I just want to say thanks for your input and hope you can help us become a better team. 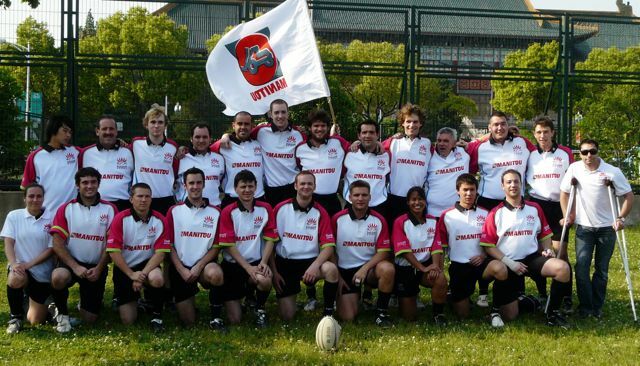 Our team name is the Hangzhou Harlequins; you can look us up in google. When can a young player start weight training? I think we can all agree that any training should take place in a safe and supervised environment, but what about the nature of what, how much and for how long? I am no gym bunny myself though I can admit to an unhealthy obsession with a Concept 2 rowing machine. However I did find “Rocket Rugby” helpful in explaining some programmes to players who asked. As I look whimsically out of my window at the fog covering the snow capped hills outside Swansea, it is hard to remember a time when one of my teams actually played a game of rugby. It has been a tough few months in the region, with terrible wet weather in November and December and then a bad cold snap that has covered the whole of the UK. Amongst the gloom, the excitement of the Six Nations is brightening the rugby land, with players staking their claim to World Cup squad places. It won’t be long before we have Super 14 rugby as well. Any exercise will be understood quicker because I have communicated what I want more effectively. I will pander to all the learning styles. I will identify exact moments when exercises and drills will be more intense and make sure that the players respond. Short bursts of high intensity. Following on from last year, I will introduce more games and competitions into training. Now to action it. I can’t wait. In the Northern Hemisphere we are trapped in a terrible cold snap. 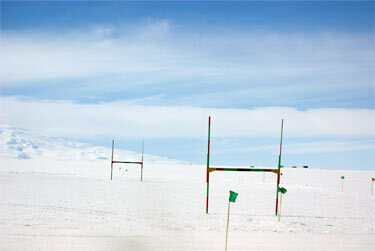 Most games are cancelled and only the hardy few have managed to get outdoors for training. 1. Don’t. It’s too cold, too unpleasant and what can your players learn? A team building snowball fight is the best option. 2. Train indoors. Every local facility will be quickly booked up, but have you thought of equestrian centres, who often have sand schools. 3. Classroom training. Take the time to plan out the rest of the season, solve tactical problems, set targets, suggest goals, discuss moves. You can do some video analysis or watch DVDs of games and talk about how you might replicate this style of play. However, what most players miss is the physical contact side of things. Gyms and halls don’t allow full on contact. How about organising a pool session where you can play rugby waterpolo, or see if you can get down to the local martial arts club. Keep the players in the loop on when and where everything will take place. Some find this the perfect excuse to slow down on training and miss the first few sessions back when the snow clears. Keep a close eye on them. Here is what Stephen Jones, a Smart Session user and main rugby writer for Sunday Times has to comment on the matter. Brendan Venter, the Saracens coach, had the air of a man on a mission as he took his seat in the media room at Vicarage Road last Saturday evening. His breathtaking 40-minute assault on the mess of the laws at the breakdown, the random interpretations, the frustrations, the lack of incentive for teams to attack – all of it was perfectly judged. Frankly, I cannot bring myself to condemn him because his verbals were not contained in some hoary procedure laid down by the Rugby Football Union. Why should such matters be contained behind closed doors when they affect so many tens of thousands of people who form the paying and watching public? Are we supposed to banish from the debate the 14,000 people who went to watch the Saracens-Leicester match and witnessed such sporting poverty? But as the debate rages on, let’s just take aim at one of Venter’s targets. Never mind about demanding that coaches shut up. What about demanding that referees shut up too? Venter savaged the fact that every player killing the play at the breakdown gets too many chances. Under the guise of communication and preventative refereeing, the official issues a final warning – number one, roll away; number two, hands off the ball; number three, back onside. It is only if the offender refuses to comply with the referee’s instructions that he may be penalised. I recall one appalling case when a Munster forward was killing a ruck in a match against Clermont Auvergne and the official told the forward five times (repeat, five times) to roll away. As Venter says, once the ball has been killed for just a second, even if the miscreant reacts to the referee’s warning, the ball has been slowed down and the defence is back in position. Just as an experiment, why don’t refereeing officials tell their men to wrap up and to penalise the offence, without warning, as soon as it is committed. To hell with preventative refereeing, it is a cheats’ charter. Referees, this is your final warning! 1 . The lottery at the breakdown – Venter’s view, understandably, is that, instead of consistent refereeing we get a random and even alternate series of penalties, with referees choosing one from around 27 offences. 2 . Refereeing officials often agree with the coaches, not the referees. Venter revealed that, on at least two occasions this season when he has complained about refereeing of Saracens matches, he has been visited by officials from Twickenham, who have agreed that he had grounds for complaint. 3 . Venter believes, again quite correctly, that the incessant barking and shouting from referees to try to stop players offending is in fact a blatant cheats’ charter, giving all the killers of the ball two opportunities to desist. 4. He believes that the problem is chiefly an English one and that there is more consistency in the Super 14. Here, we can safely and completely part company with him, as all the problems he outlined are very much universal.